An important business lunch. A promising first date. Meeting your significant other’s parents for the first time at a fancy restaurant. There are plenty of times in our lives when we’re nervous about picking out just the right outfit, deciding what to say and what not to say, and when it’s really important to make sure you’re on your game. 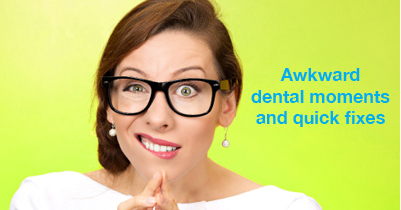 While we’re not really qualified to give you fashion direction or small-talk advice, all of us at my dental office in Lewisburg can help you quickly fix any awkward dental moment with ease. While bad breath may be hard to avoid after eating a garlic-loaded pasta dish, there are several ways to beat post-dinner bad breath. Some solutions do require a bit of preparation. Before you head out to the meal, stop and grab some sugarless gum. After you eat, pop a piece in your mouth and chew quietly to successfully curb any bad smells from lingering throughout the night. If no gum is available, drink water. Water has cleansing properties that can help remove the bad-smelling agents from your tongue. If your breath is less than fresh all the time, see your dentist in Lewisburg as it could be a sign of something serious. Serving patients in Lewisburg, Selinsgrove, Williamsport, and surrounding communities. Your smile is one of the first things other people notice about you, and it’s how they arrive at a first impression. The thing is, their response to your smile is largely subconscious. So we ask, is your smile saying the right things about you? If it’s not, there’s never been a better time to reward yourself with a new smile. During a season when so much energy is dedicated to gifting loved ones, perhaps it’s time to give yourself a present and unwrap a new smile this year. At my dental office in Lewisburg, we can transform your smile to ensure that it’s telling the world you’re smart, professional, young, vibrant, and always ready to make a great first impression. With a variety of cosmetic dentistry treatments available, you can get the smile of your dreams. One of the most common cosmetic dentistry procedures, a professional whitening completed by your dentist in Lewisburg can instantly take your smile from dull to dazzling. Simple and quick, a professional tooth whitening is the easiest way to get the brighter, whiter smile of your dreams. Typically used on teeth that haven’t been successfully whitened by a professional whitening treatment, are unproportional in shape, chipped or fractured, or even to fix gaps, porcelain veneers are artfully sculpted for each individual patient to match the color and shape of the natural teeth. Virtually undetectable, veneers cover the front surface of teeth and are sometimes preferred over a crown or other more invasive treatments since a lot of the natural tooth remains intact during the procedure. In patients where a veneer isn’t appropriate, porcelain crowns are used. Crowns can be sculpted to match the appearance of surrounding, natural teeth, while also providing strength and durability. A crown can be used to repair a chipped, cracked, or fractured tooth, one that has severe decay damage, or where enamel has eroded. Replacing the entire exterior of a tooth, crowns can bring a tooth back to full function and create a better aesthetic appearance. This is just the short list of the comprehensive cosmetic dentistry treatments available at my Lewisburg dental office. Stop by, we’re sure we have the treatment that’s right for you. 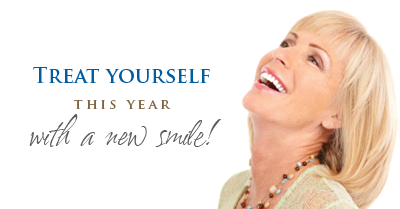 We would love to discuss your goals and recommend the best treatments to help you unwrap the smile of your dreams.